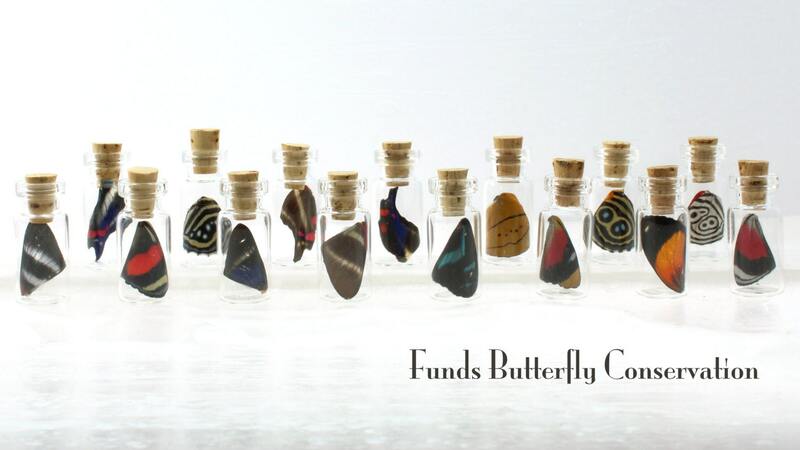 100% of the profits from the sale of this item are donated to butterfly conservation. 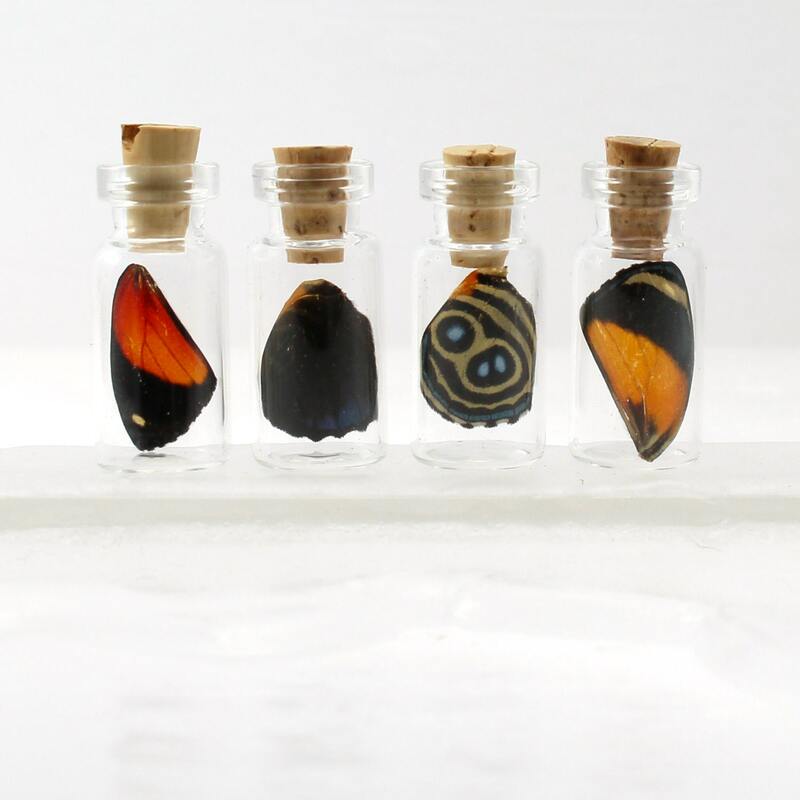 A real butterfly wing is bottled in a sweet little jar. 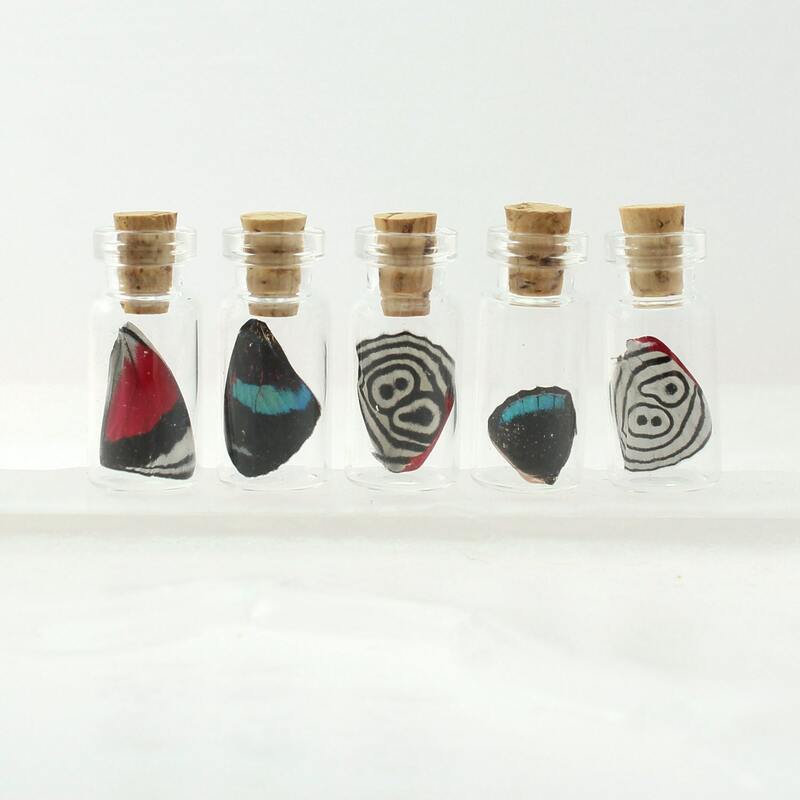 Perfect on the shelf, carry it as a pocket charm, or make it into a necklace. Makes a great gift. PLEASE NOTE: This item is one of an assortment. Feel free to make requests, and we'll do our best to accommodate you. All are beautiful wings, and we only ship crowd favorites. 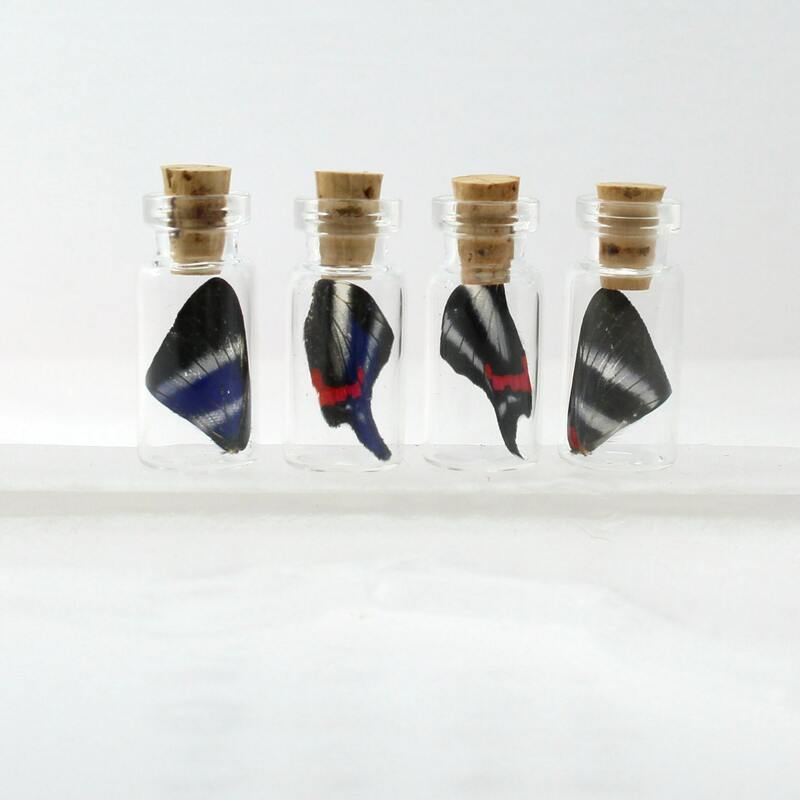 Information about your butterfly, and our work is included with every purchase. 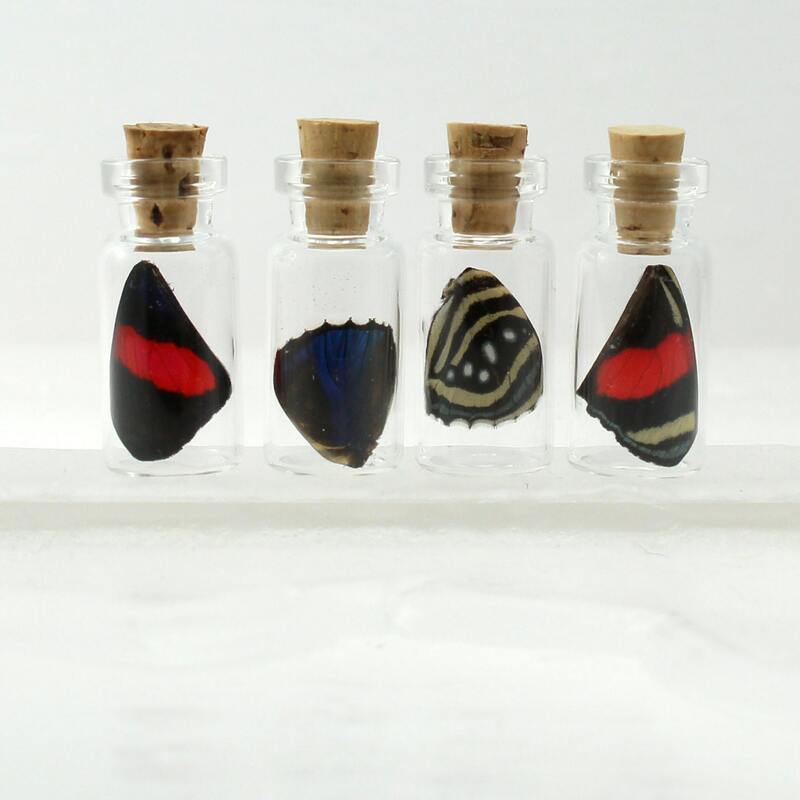 10% of all other Isms purchases are donated to the start-up of Falter Farm, a conservation effort for indigenous butterfly species in central Minnesota. Thank-you for your support. These wings are so beautiful! I especially love the iridescence of the one, so neat! Thank you for keeping in contact when I had questions, great customer service!